Typically mobile broadband connectivity involves acquiring access to the Internet using a portable modem that can be plugged into mobile devices like laptops, mobile phones etc. Now mobile broadband coverage will be different in different places, with some locations having better and stronger signals than others. It also varies from one network provider to another. This coverage can be likened to the coverage that you experience when using mobile phones, when the reception is bad in certain areas and extremely clear in other regions. This is why you are advised to ascertain that the network provider you are planning to purchase the connectivity from has good coverage in places you will probably be utilizing mobile broadband from. The point is that though the coverage will be more or less similar in both mobile phones and mobile broadband, the technologies used are totally different. The fact remains that mobile phones are generally compatible with 3G and HSPA so that the Internet can be accessed, therefore mobile phone coverage for these phones can be used to indicate mobile broadband coverage too. 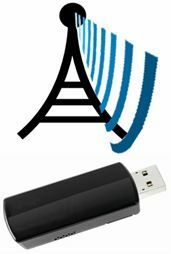 Can mobile broadband reception be checked? Every mobile can the facility to examine broadband connectivity on their respective websites before it is bought. It would be a good idea to enquire of friends or relatives who are utilizing the mobile network that you plan to purchase and find out from the whether they receive strong signals on their mobile phones. If their phones offer decent 3G or 3.5G reception, it should also offer good mobile broadband reception too. In order to check 3.5G reception you may have to open a website browser on the phone as this reception can be seen only when data connectivity is going on. This will give you details of each checker for coverage in the UK networks and this will give you an idea of the mobile coverage that you can avail in that area. 3G coverage is not only utilized for mobile broadband connections, it is also used in the mobile phones for data, video calls and can therefore be listed separately. If the area you are located in has decent 3G coverage, you can well assume that you can get a good mobile broadband speeds of up to 384 Kbps. The other technology used is the HSPA that also offers better speeds; of course it will depend on the network provider. As you can rightly guess speeds will be much faster in metropolitan areas for HSPA services. Mobile phones receive their wireless signals through transmitters located at vantage points and the reception on your mobile phone will depend on how far or how close you are located to the transmitter and also on whether there is any thing that can block the signals that are being received. The best signals are received when there is a good view of the transmitter from where you are or at least if there is a transmitter located close at hand. The walls of your home or any building can decrease the strength of the signals and that is the reason why you find that coverage inside homes or buildings are weaker. Can mobile broadband connection be accessed even if there is only 2G coverage? EDGE and GPRS are technologies that are used for mobile broadband if only 2G coverage is available in a area, but they are slower than 3G coverage and the quality of reception is quire bad. That is why when you are traveling by train or road you will find that reception is god in some places and in others the signals oscillate from 3.5G to GPRS and at times to no coverage at all. If you require mobile broadband for home use, and can only have GPRS, why not think of subscribing for a fixed line broadband connection?